ON SALE!!! $125.00 ea 1-4 cases. $120.00 ea for 5 or more. 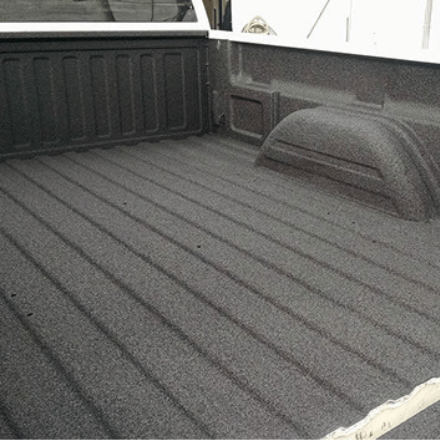 The RockHard spray-on Bedliner is a durable self adhering rock hard Polyurea that is manufactured on the truck bed itself. 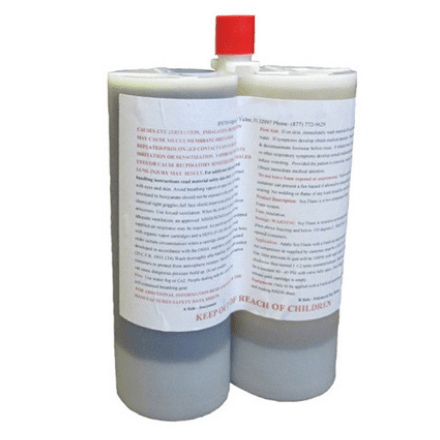 This remarkable VOC free plural component Polyurea actually creates a thick blanket of protection that seamlessly becomes a thick three dimensional rust proof barrier that holds its shape for the life of the vehicle. The RockHard barrier, unlike the factory metal bed will absorb the vibration of what you carry. The RockHard membrane stops the OEM metal bed from chipping and due to it becoming a virtual part of the metal nothing can get in between layers causing unseen rust like typical drop in bed liners do. RockHard Spray On Bed Liners, your blanket of protection from chipping, rust, and chemical spill. The RockHard Spray on Bedliner System offers the ultimate in materials and application equipment. To be an applicator for RockHard Spray On Bedliners requires zero franchise fees. This will add up to profits for you and savings for your customers. Rockhard Spray On Bedliners is not a fancy paint job for the truck bed. 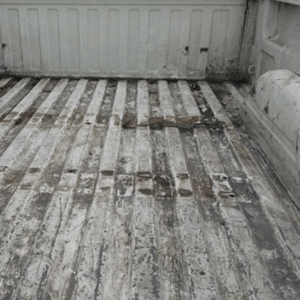 It is an in house manufactured, technically advanced system that provides a thick self adhering rubber vapor barrier to the floor and walls of your truck bed. Its process of plural heated components sprayed by very high pressure onto a properly prepared surface, gives your truck the utmost in protection. 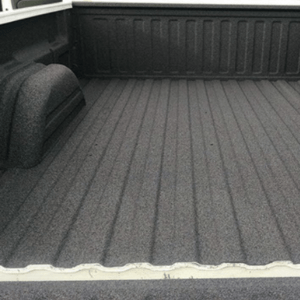 RockHard spray-on Bedliner offers the strictest in bedliner quality requirements for both materials and equipment. Material temperature must be 80 – 90 degrees prior to spraying. 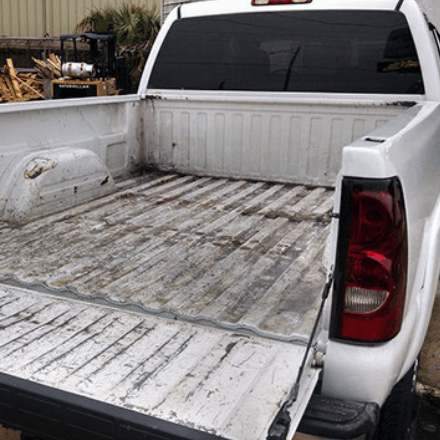 We took this beat up 2006 Chevy 1500 6.5′ bed and refreshed the life back into it with our RockHard Bedliner material. As you can see in the pictures, there are several areas that were very rough and beaten up from years of unprotected abuse. After we cleaned it out and applied the liner, the truck looks good as new. All Rockhard Bedliner documentation, manuals and resources available HERE.